Energy Explorers is PEA's hands-on education program that teaches kids how energy is created, its effects on the environment and the importance of conservation. Students get a taste for environmental stewardship and leave the program motivated to make changes to their daily habits. This year, we'll be presenting Energy Explorers to more than 2,000 students in Forsyth County, with the help of student volunteers from Wake Forest University. This week we sat down with the Wake Forest student and Environmental Education Intern, Peter Schlachte, to learn more about his efforts to recruit, train and mobilize a team of student teachers to support PEA's education programs. What are the key components of the Energy Explorers Curriculum? We try to make the curriculum very hands on. We begin with a PowerPoint Presentation that provides a broad overview on energy and educates students on the differences between renewable and non-renewable energy sources. At the end of the presentation, we have a bike hooked up to a generator that powers lightbulbs. Through this demonstration, we show the students that not only is the bike using renewable energy, but that renewable energy is more efficient for economic reasons as well. What are the key take-aways you hope that students will get out of this program? We hope that students will get excited about environmental issues and energy as a general topic. We hope that they understand the importance of non-renewable energy sources. It is our goal that students will engage in more environmentally-friendly practices through the completion of the homework assignment which asks students to record energy usage at home. How do you measure the impact of this program? After the completion of the program, PEA sends out surveys to the teachers to ask about how they liked the program, and if they thought it was an effective educational tool. We also give students a pre and post session quiz. We find that 100% of the students in our sessions improve their knowledge on renewable and non-renewable energy. What challenges have you faced with this program? We could always use more volunteers to help out with the program. Sometimes it can be a bit hard to handle the students without a sufficient amount of volunteers. Who are the teachers of this program and how are they trained? We have student volunteers from Wake Forest University and Piedmont Environmental Alliance volunteers. Previous volunteers help with teaching the curriculum, and then we have the new volunteers teach the curriculum back to us. Interested in being a volunteer? We're looking for educators, parents, professionals and community members to help grow our environmental education programs. Email us if you're interested in joining our team of energy explorers volunteers! 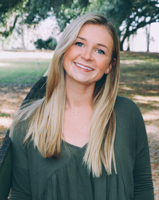 Mackenzie Howe is a senior at Wake Forest University and is a fall intern for PEA. She is passionate about all environmental issues, and is majoring in Environmental Studies and Sustainability with a minor in Entrepreneurship and Social Enterprise.